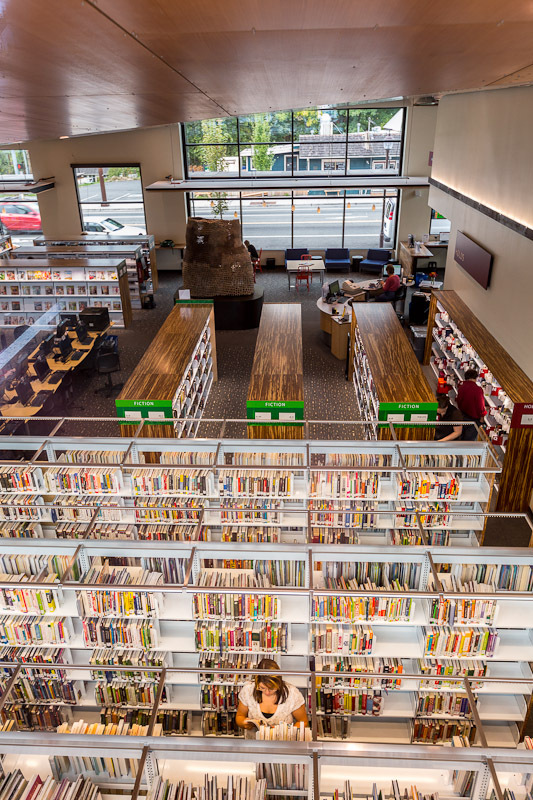 The new 8,000 SF library is located within the historical district of “Old Town” Duvall, situated at the northeast corner of the Main Street (HWY 203) and NE Stephens Street intersection. 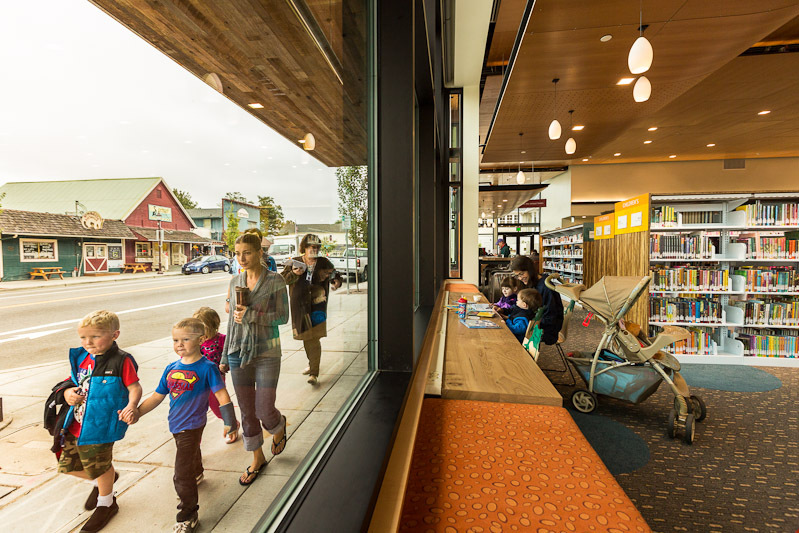 The design of the new library was governed by the requirement to compliment Duvall’s history and the scale and character of Main Street. 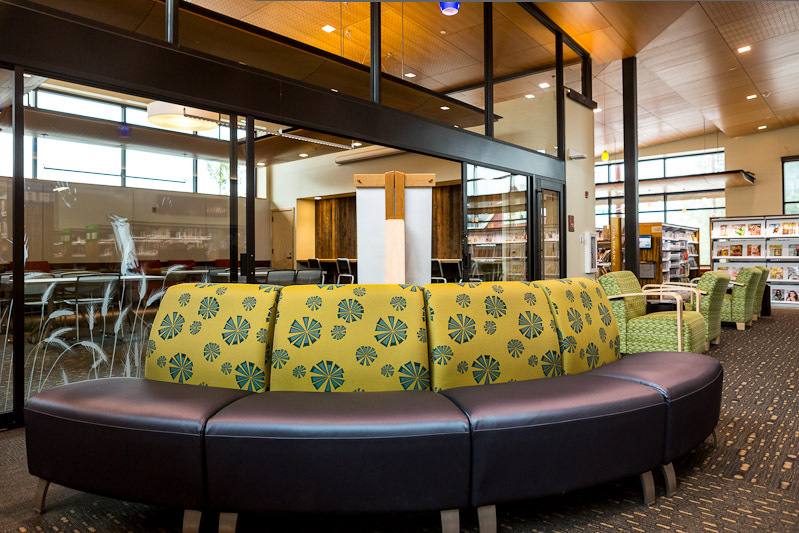 The library reflects the wonderful character of Duvall: rural yet urban, sophisticated yet authentic, warm and rustic yet modern. 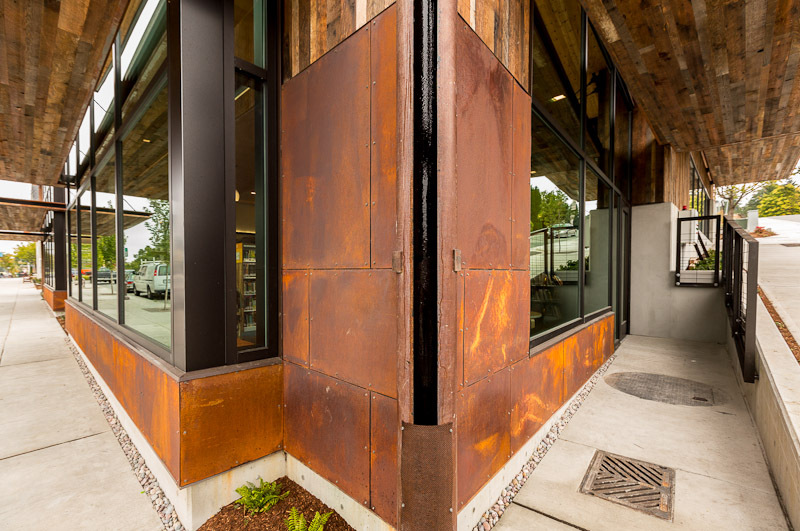 The exterior is adorned with recycled barn wood, a living roof, weathered steel and glass. Inside this responsive shell, the materials continue, yet are transformed. A perforated plywood ceiling creates an acoustic environment that is quiet and calm, but lively enough to create a communal sense. Hand blown glass light fixtures speak to the craft still present in Duvall. 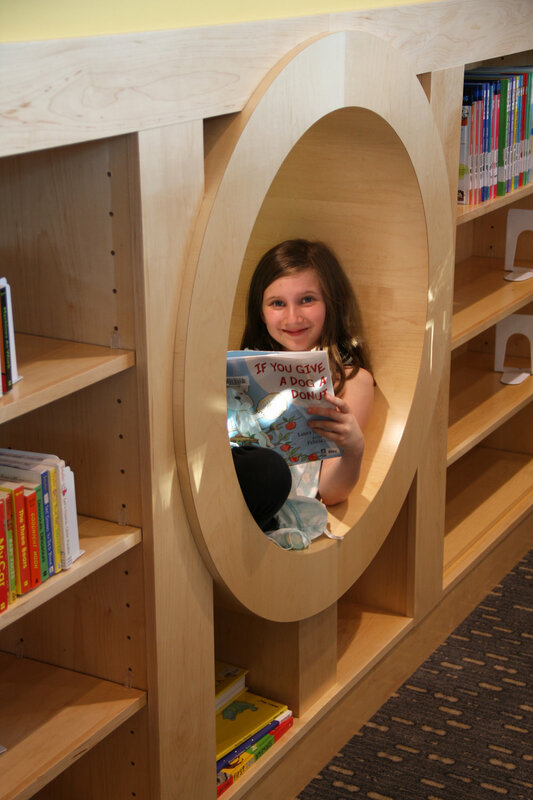 The children’s area includes circular cubbies, perfect for curling up with a book – they are nearly always occupied. 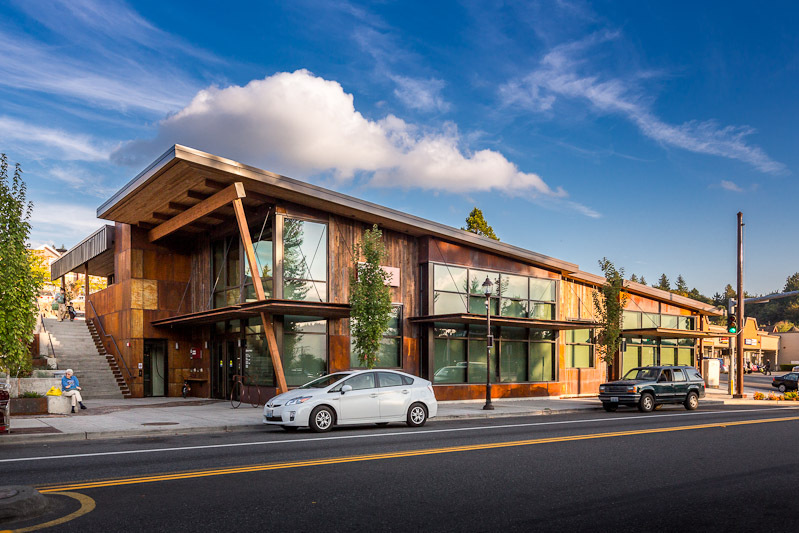 And the meeting room provides a light and airy resource for Duvall’s active community. 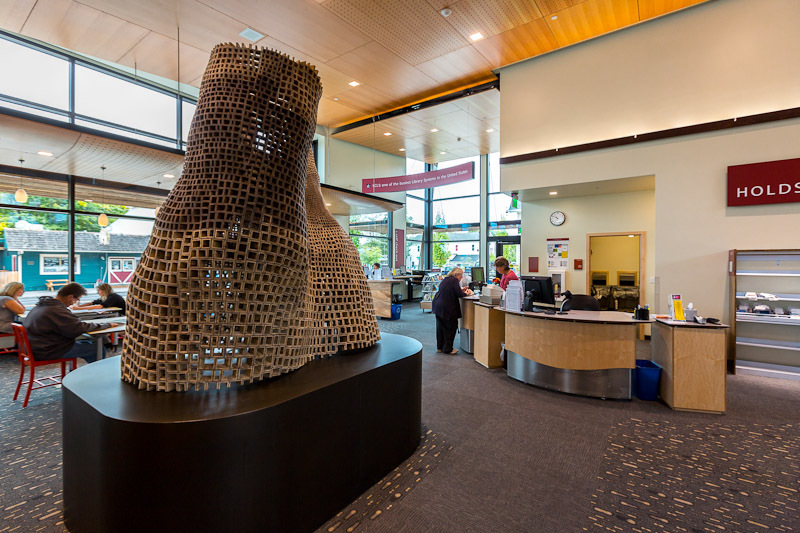 The Duvall Library is LEED Silver Certified and is the result of a wonderful collaboration between citizens, the Friends of the Duvall Library, KCLS Administration and the design team.